Inspired by a TI applet, of all things, via Jill Gough. 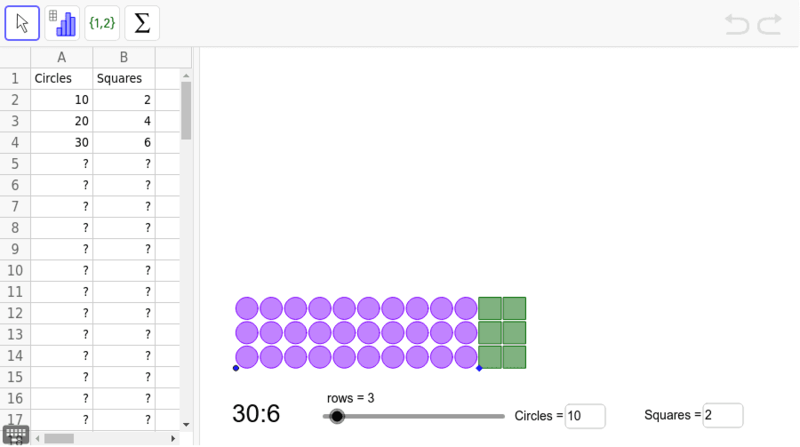 This lets you move the arrays around [default is side by side], and creates the ratio table in the spreadsheet view. It will expand vertically to show rows, but not horizontally.